American Rose Society Consulting Rosarians are experienced rose growers who have met American Rose Society (ARS) qualifications to give complimentary advise on all aspects of rose culture. American Rose Society Judges have been educated in the many aspects of horticulture and arrangement rose exhibiting/ judging. 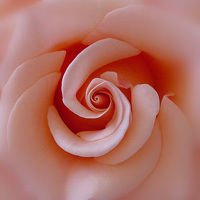 Be a member, (regular or joint member) of the American Rose Society for three consecutive years. Be an active member of a local rose society. Grow roses of various types for at least five years and should be knowledgeable in all equipment and materials related to rose culture. Provide letters of recommendation from any three Consulting Rosarians, on the form provided by their District Consulting Rosarian Chairman. Attend an ARS school/workshop for Consulting Rosarians and complete an open book examination based on the material contained in the Consulting Rosarian manual. Willing to attend no less than one Consulting Rosarian School in every four-year period. Submit a completed individual annual report form to the District Chairman of Consulting Rosarians. If no report is submitted in a three-year period the CR will be dropped from the program. A warning letter will be issued after two years of non-compliance. Submit a Roses in Review Report to the RIR District Coordinator each year. Exhibit a continuing willingness to share knowledge and an enthusiasm for the rose and the American Rose Society.